juanbook: System Ops: What Could Possibly Go Wrong? I drive past this transmission corridor whenever go to and from work. 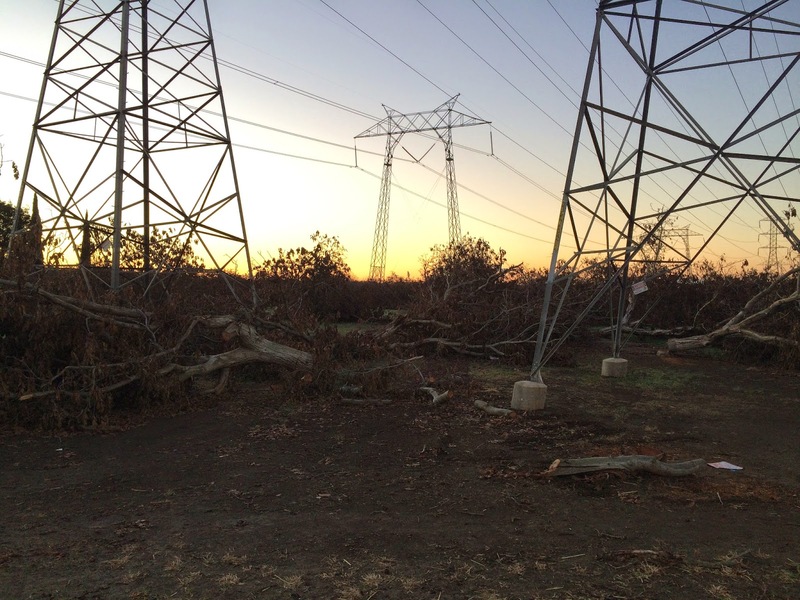 There are four 230KV lines and one 500KV line in close proximity of each other. 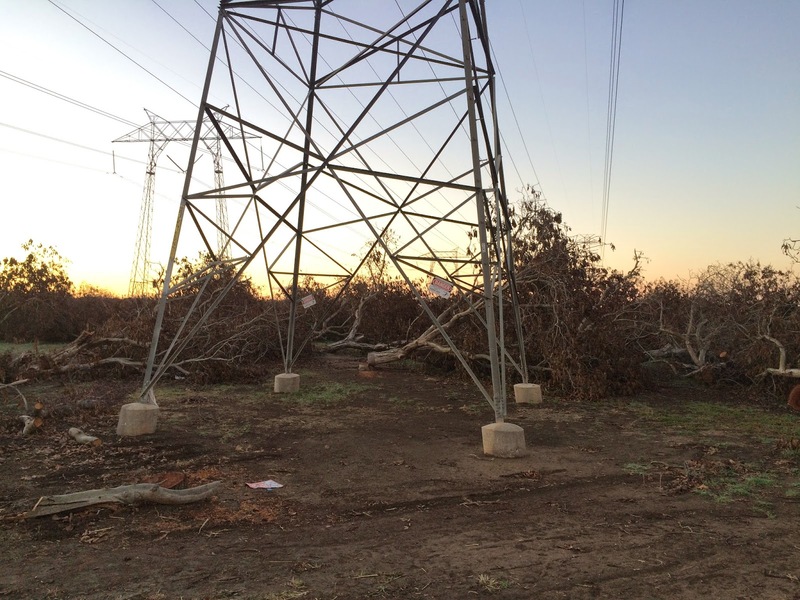 It looks like the land owner has cut down whatever trees that were growing in the orchard and is getting ready to burn them. 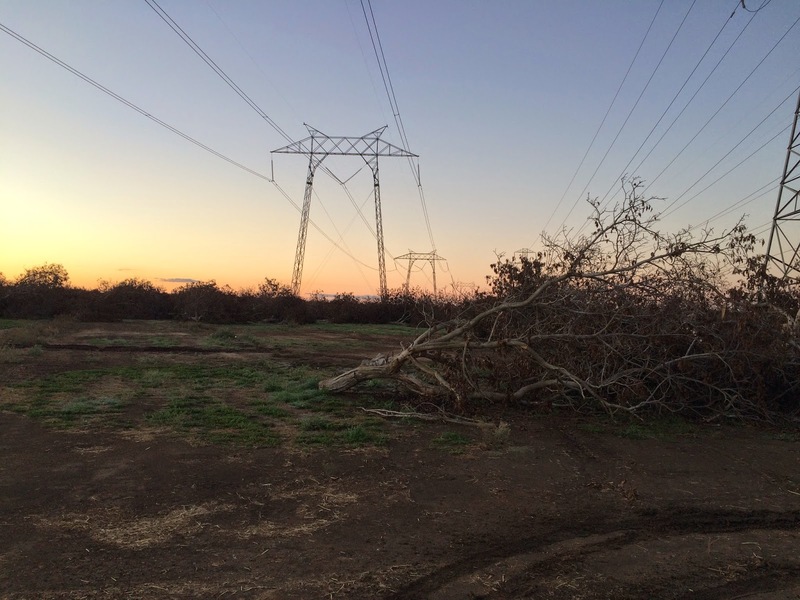 The last times a landowner did an ag-burn under a 500KV line this happened. Appropriate notifications have been made.